Healey & Lord Ltd have completed the supply of 9 bespoke Saturn stainless steel wash-toughs manufactured to an exacting specification from London based, world-wide renowned architects Foster & Partners. 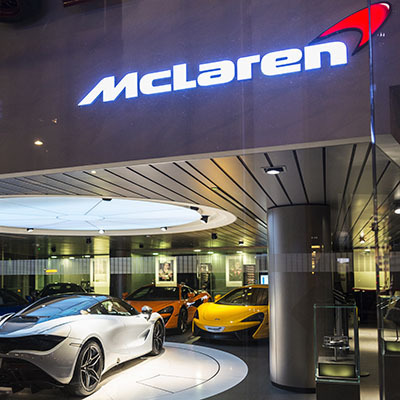 The wash-troughs have been installed in the new Mclaren Production Centre in Surry (UK) which will manufacture their latest supercar – the MP4-12C, the wash-troughs range from 900mm to a substantial 4076mm in length and are equipped with the latest infrared panel mounted taps and soap pumps. Healey & Lord would like to thank its staff and all of its Trading Partners who worked diligently to ensure this prestige project was delivered both successfully and on time.